The term “cryotherapy” comes from the Greek cryo (κρυο) meaning cold, and therapy (θεραπεια) meaning cure. Cryotherapy is the local or general use of low temperatures to help promote wellness that dates back to ancient civilizations. Historically Cryotherapy has included the use of ice packs on a localized portion of the body, such as the lower back or ice baths used on larger surface areas or the whole body, particularly by athletes. Whole Body Cryotherapy (WBC) is the exposure of the body to extremely cold temperatures. WBC originated in Japan in the late 1970’s, where it was studied as a powerful treatment for those suffering from inflammation and pain from a number of chronic conditions. Over the next 30 years, it spread throughout Europe and Asia, becoming widely known for its wide range of performance and health benefits. When you’re in the cryotherapy chamber, the extreme cold on your skin triggers a reaction from your central nervous system. Your overall circulation is restricted, pulling much of the blood into the core. Once your brief exposure to the cold is over and you begin to warm up, the circulation is pushed back above its previous levels, releasing endorphins and oxygen-rich blood throughout your system. Endorphins are the body’s natural pain inhibitors and mood elevators, and the increased flow of oxygenated and nutrient-rich blood reduces inflammation by clearing out toxins and other waste, while also stimulating cellular regeneration. ​Whole Body Cryotherapy treatments are administered individually via a CryoSauna. 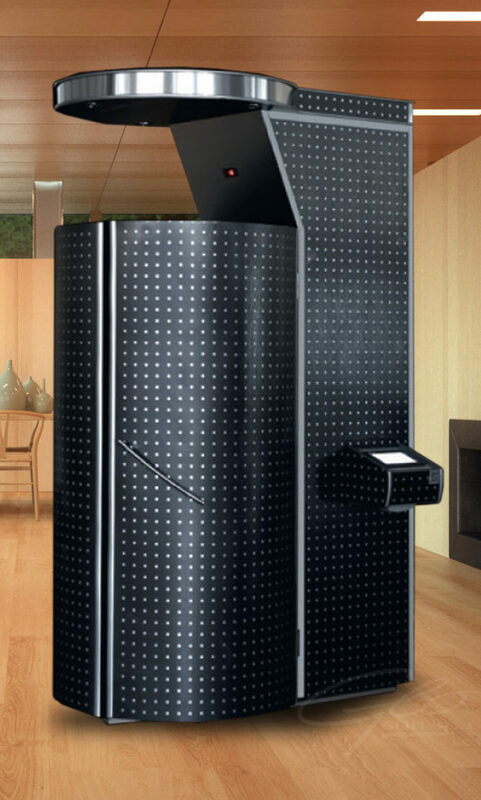 The cryosauna uses gasiform nitrogen to rapidly lower the skin’s top layer to 32°F while cabin temperature drops to a range of (minus) -​220°F to -274°F. During the two to three minutes of extreme cold, the brain stimulates the body’s organ regulatory functions resulting in energy increase, cell rejuvenation, immune system boost, and overall system self-healing. WBC is very well tolerated and has minimal risks. Fluctuations in blood pressure during the procedure by up to 10 points systolically (reverses after the procedure as peripheral circulation returns to normal), allergic reaction to extreme cold (rare), claustrophobia, anxiety, activation of some viral conditions (cold sores, etc.) due to stimulation of the immune system. Protective clothing (socks, gloves, undergarments) must be dry in order to avoid frostbite. Studies over the last 20 years have established WBC as a powerful option for the treatment of injuries and inflammation. WBC has been adopted for use by many professional and collegiate sports teams and other elite athletes to improve recovery times and performance. It is also becoming accepted as a way to treat inflammation and as a method for managing pain. In Europe, WBC is now considered to be a standard part of a comprehensive treatment of rheumatologic diseases. WBC treatments result is a very different response from the body. Three minutes of extreme, dry cold reaches only the top skin layers and receptors causing the brain to restrict blood flow to an internal cycle. Fifteen minutes of cold water therapy initially causes the body to move blood to the extremities and results in a chilled lowering of the body’s core temperature. Dry socks with a slipper/sandal for the feet, light cotton gloves for the hands and a dry undergarment. All jewelry, watches, chains, bracelets, earrings are removed. Cryotherapy is a dry cold with no moisture and tolerable even to those who consider themselves cold-intolerant. Cryotherapy stimulates the body to release endorphins, the hormones that make us feel good and energetic. The buoyant effects from each session typically last for six to eight hours. Many clients report improvements in their sleep quality after cryotherapy. No. The immediate cold impact of the cryotherapy will raise the internal body temperature for a short period of time. The stimulation of the immune system can help decrease the severity and frequency of future colds. The following conditions are contraindications for WBC: Pregnancy, severe hypertension (BP > 180/100), hypothyroidism, acute or recent myocardial infarction (heart attack: need to be cleared for exercise), narrowing of valves, crescent-shaped aorta and mitral valve, unstable angina pectoris, arrhythmia, symptomatic cardiovascular disease, cardiac pacemaker, peripheral arterial occlusive disease, venous thrombosis, acute or recent cerebrovascular accident (stroke: must be cleared for exercise), uncontrolled seizures, Raynaud’s syndrome, fever, tumor disease, symptomatic lung disorders, bleeding disorders, severe anemia, infection, claustrophobia, cold allergy, acute kidney and urinary tract diseases, incontinence, age less than 18 years (parental consent required). Depending upon the condition being treated, it should initially take seven to ten treatments in close succession (every other day). After this initial loading period, maintenance treatments should be once per week. Is it ok to exercise after the cryotherapy session? Yes, actually its encouraged. An advantage of cryotherapy over ice therapy is that tissues and muscle are not frozen. Ten minutes of light exercise post cryotherapy will induce more rapid vasodilation of the vessels and capillaries, and extend the period of analgesia. Cryotherapy involves hyper-cooled air flowing over the skin surface so the process never freezes skin tissues, muscles or organs. The result is only a “feeling” of being cold. The body is being tricked into believing that this extreme cold is life threatening. Whole Body Cryotherapy is receiving national attention from popular television shows such as Dr. Oz, Ricki Lake, The Doctors, Good Morning America, The Insider, Dancing with the Stars and many more. While whole body cryotherapy is applied to the entire body, localized cryotherapy focuses on the specific areas of your skin. Local cryotherapy is used to target localized areas that are in pain or inflamed to cold temperatures between -240°F to -256°F for about 5 – 10 minutes per location. Local cryo has been used for cellulite reduction, reducing inflammation, athletic recovery for specific problem areas, and relieving any forms of pains from, for example, a surgery. While WBC treatments are excellent at relieving general inflammation, some parts of the body may require more attention than the others due to acute pain. This is where local or spot cryotherapy comes into play to treat the most affected areas. Localized Cryotherapy can treat specific pain points or can provide an incredibly relaxing,&nbsp;wrinkle-releasing facial. Localized Cryotherapy can treat specific pain points or can provide an incredibly relaxing, wrinkle-releasing facial. Localized cryotherapy is used to minimize pain, promote healing, treat wounds and swelling, as well as for skin rejuvenation. Even after just one treatment many of our clients observe smaller pores and wrinkle reduction. We also have reports of headache alleviation. This type of cryotherapy can be applied to any specific injured part of the body such as ankles, shoulders, feet, elbows, knees, and necks. The Cryo Facial treatment is non-invasive and pain free and works through means of Cryotherapy or “freeze therapy”. The skin is rapidly cooled, using a beam of vaporized liquid nitrogen, to well below freezing in a matter of minutes using a revolutionary ‘cryo-probe’. This leads to a tightening of the microcirculation blood stream, known as vasoconstriction, and then dilation of blood vessels and capillaries which helps to flush toxins and impurities away from the skin. The process works to contract the skin and accelerate microcirculation which supports better oxygenation of dermal cells, encourages collagen production and helps to detox and rejuvenate the skin. The treatment only takes a few minutes and the results are immediate and there is generally no post treatment downtime or after effects. We generally combine the cryo facial with a deep cleansing. The Cryo Facial can be conducted as a one-off treatment but the best results will come with repeat applications. The Cryo T Shock by Pagani represents a new innovative approach in the treatment of cellulite and undesired fat removal. It has been in premium spas throughout Europe and we are proud to be the first in Illinois to offer this treatment. It uses state-of-the-art thermography and cryotherapy (thermal shock) to reshape the body. This is the first cost effective body contouring solution and won the Most Innovate Device at the Gicare 2014 International Expo in Paris. Thanks to the innovative Cryo T-Shock, every treatment is tailored to the individual client. 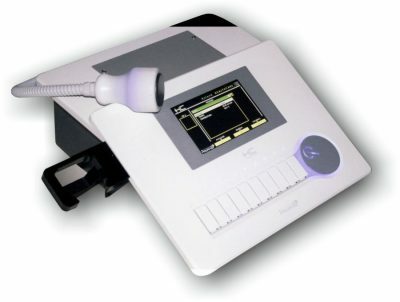 Cryo T Shock provides Cryo Slimming and Cryo Toning. Cryo Slimming safely and effectively uses thermal shock to naturally destroy adipose cell or fat cells without any damage to the skin. The Cryo T Shock breaks down fat cells by starting the treatment with heat then a prolonged period of cold then heat again. This process lowers the temperature of the targeted fat cells to between 12 and 17C trigging a phenomenon called apoptosis (a natural controlled cell death). Then the body naturally flushes the fat cells out through the bloodstream and then the lymphatic system in a few days to weeks following the treatment. It is a safe, painless and a non-surgical alternative to liposuction. It is most similar to “Cool Sculpting” but is less expensive, painless, and more effective. Cryo Toning involves less cold to help reduce the appearance of cellulite, fine lines and wrinkles by stimulating collagen and elastin production while tightening muscles. Collagen and elastane production is caused by the significantly increased micro circulation due to the thermal shock that is caused by the hot and cold. Cellulite is caused by uneven deposits of fat which are separated by collagen fibers. The Cryo T-Shock safely triggers the fluids that bind the fat cells together to crystalize. This crystallization destroys fat cells and fibers holding the deposits together, softening the skin and returning dimple free appearance.